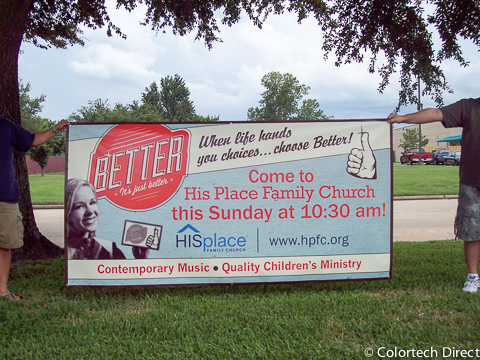 Banners are effective method to get your message across and elicit an immediate response. 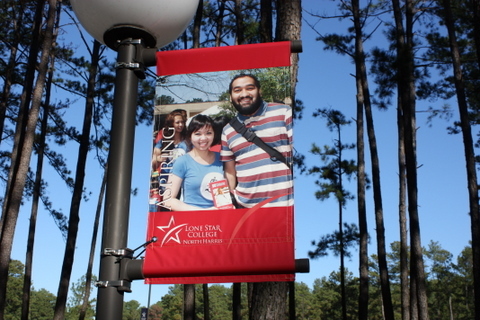 Banners can be high impact and bold or beautiful eye-catching photographic quality. Double sided banners and mesh banners available, please contact us for rates. 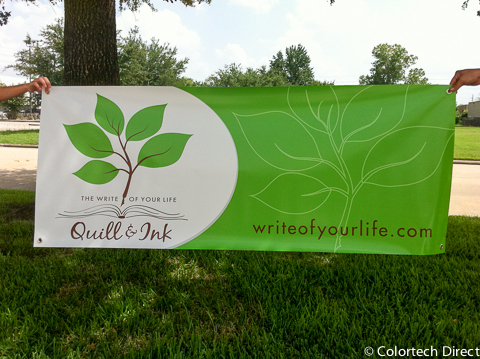 We can print from your own design or let us create a custom banner to maximize your message. 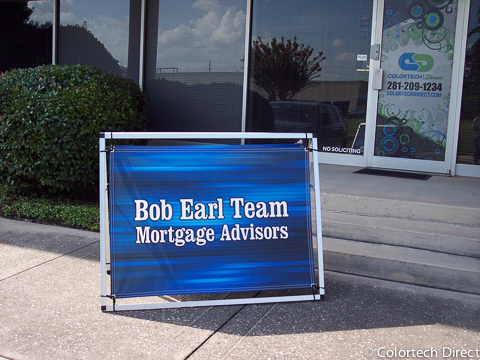 This is a 4'x3' free standing banner frame that can have interchangeable banner graphics. 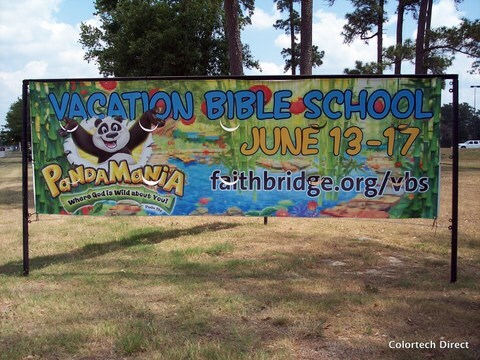 This banner is 40'x16' and was used to promote the opening of a new kids area. 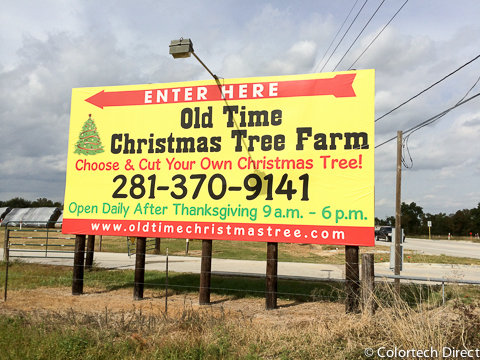 Oversized banner used as a soft sign on FM 1488 in Conroe, Texas. 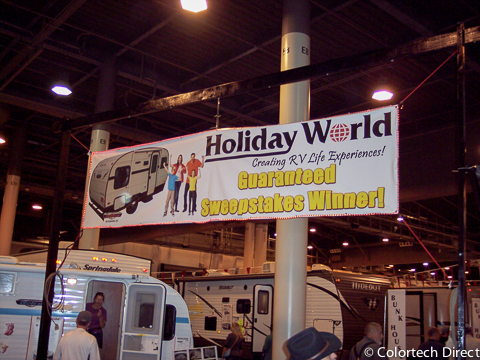 Large 32'x16' banner hanging inside an RV Expo for Holiday World Houston. 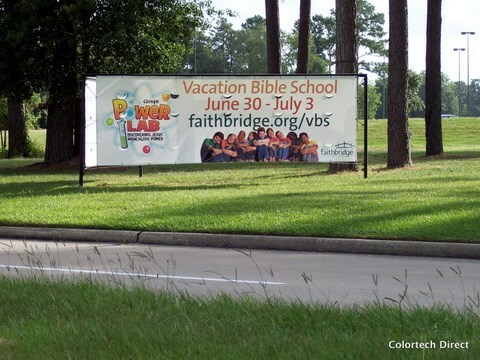 Banner used outdoors as a sign to drive in traffic. 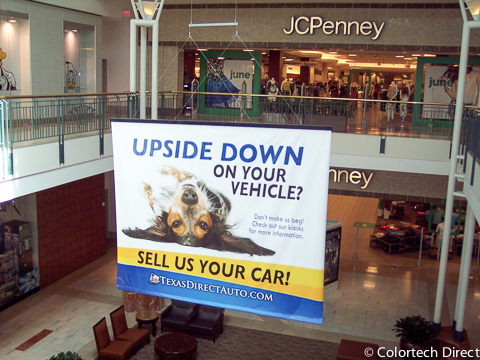 This large 12'x10' hanging banner was installed inside a mall to be visible from both floors. 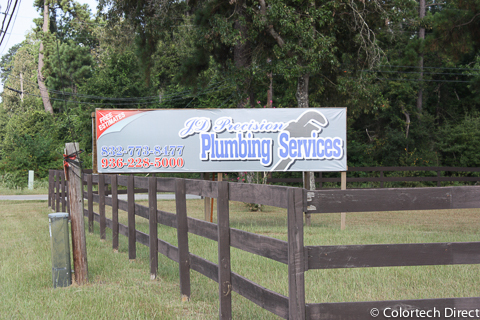 This large 25'x14' banner is being used as a soft sign installed over a permanent sign structure. 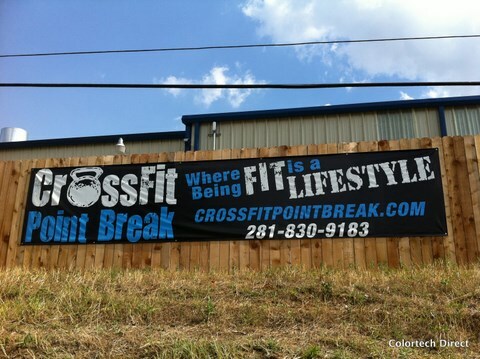 Custom pole banners with top and bottom pockets. 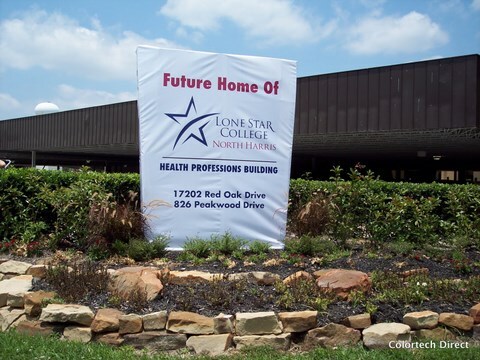 These banners were used as monument sign covers until the original signs could be rebuilt for the new Lone Star College Systems North Harris location. Banner with grommets to advertise events. 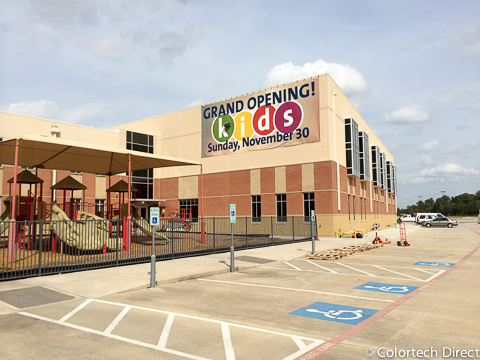 Large 15'x5' banner with wind slits installed near busy road. Banner with logo to be used at events and workshops. 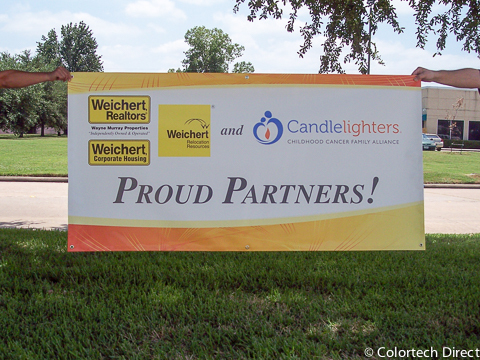 Banner displayed at event to thank and recognize sponsors. Below is a list of the most common banner sizes but we can create custom sizes for any project. These prices are for full color, single sided banners but does not include special hems, pole pockets, graphic design or layout. Banner prices are figured by the square foot. To figure the square footage for your banner simply take the measurement of 2 sides, rounded up to the nearest foot, and multiply.